The sending service allows to send one or more FAX through a simple and intuitive interface which ensures you to avoid all problems connected with the traditional telephonic services. The completion of the message is as easy as sending an SMS. The sender (the FAX heading) is customizablee, it is possible to choose if and which number will be visualized and which heading will be displayed. Choosing the recipient can possible through the phone book, by choosing the contacts or groups or just by entering the number to whom you want to send the FAX. It is furthermore possible to choose, while completing the FAX, whether to enter the heading or not and to personalize it as you like. The sending can be immediate (complete and send) or scheduled (complete and send later), by entering date and time. The massive FAX sending service allows you to convey marketing campaigns and informative FAXes with the same ease as the single sending. you just need to select the contacts from the groups or from the single contacts, enter the sender, scedule the type of sending between immediate (complete and send) and scheduled (complete, set time and date) and attach the files to be sent picking them from your pc or your File Manager or your Dropbox in your device. A few clicks to create your marketing campaign and reach easily the interested contacts. 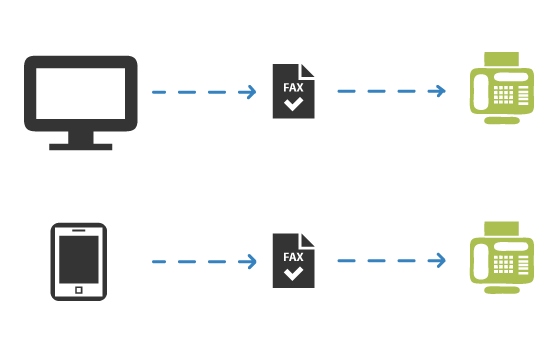 In the FAX section, in the dedicated page it is possible to get a personal history of all the sent and scheduled FAXes by selecting the wanted period and by visualizing the basic information (requirement date, sending data, recipient, text, status); it is also possible to export the details to Excel. 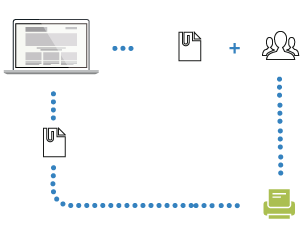 Without the mobile APP, it is possible to send FAXes via Email (Mail2Fax service), directly from your own mailbox. How does the Mail2Fax service work? 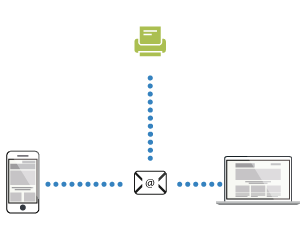 If sending an email is easy, sending a FAX via email is even easier! You just need to log in your mailbox, write a new message and choose the files to be attached, without forgetting the entering code generated by EasyOffice while activating the service in the FAX section. The FAX will be immediately sent and you will instantly receive a notification via email. 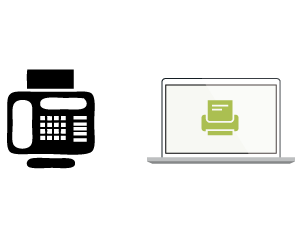 The FAX service is easily integrable to your systems with no additional costs. 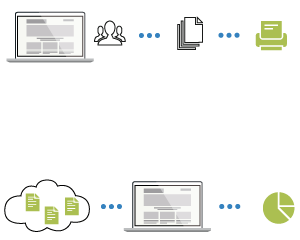 The sending can be managed directly from your own system, while the charging and the account management are organized on your EasyOffice panel. The service, completely manageable from your app, avoids any paper waste and difficulties dues to the correct work of the machine and ensures the automatic sending in case of problems. Instead of the traditional sending, it doesn’t need any maintenance and it is possible to send a FAX in a few clicks extinguishing the traditional costs. After having registered, if you go to your personal area, you will be immediately able to use the bonus in order to send a fax page.